I’ve been waiting for him to say it… We all know he does so why didn’t he say it? Then just when he was about to he couldn’t and now he will never be able to say it,… EVER and it’s so sad and It’s really bothering me. I just hope Billy Piper stops being so selfish and comes back to the series. 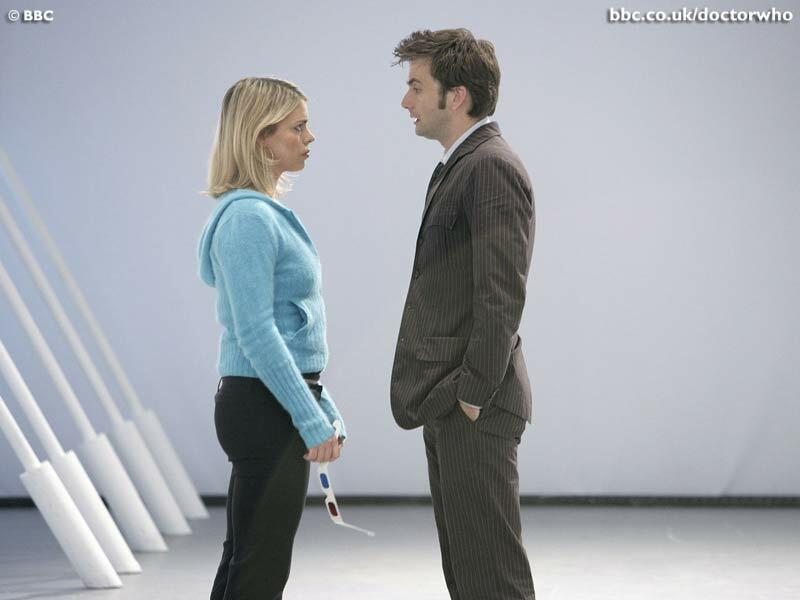 Obviously Rose will go to Tourchwood and find something that will allow her to find him again and then they can re-populate the Time Lord Population with baby Dr + Roses. and she can be Mrs Who and I will be happy. Very happy. Because right now I can’t stop worrying. Yes I know they are fictional. But this happens to me sometimes. – usually with books. You get yourself so invovled with it all that it seems a little too real….